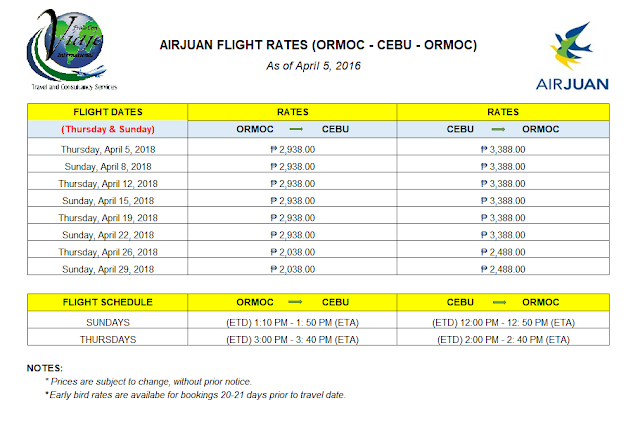 Flight Update for Air Juan, As of April 5, 2018. Here's your travel schedules for Air Juan flights for the month of April 2018, with all accompanied rates for each travel dates. Check out below, Ms. Chibeh Kobayashi's first flight aboard Air Juan in an Ormoc-Cebu flight. She also happened to be our first client, view from up there looks just as lovely as her. Thank you, Ms. Kobayashi for choosing to travel with Viaje International. We hope you had a great time! NOTE: We will be updating the rates of all travel dates for the month of April, daily. So stay updated, Ormocanon! 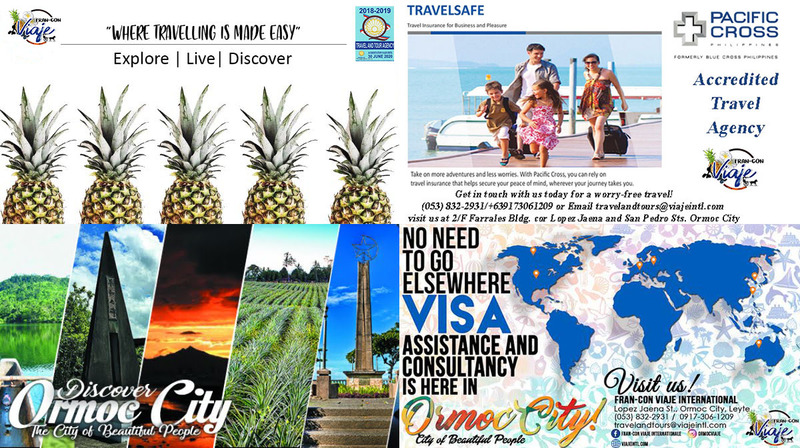 Let's continue to support air connectivity here in Ormoc.